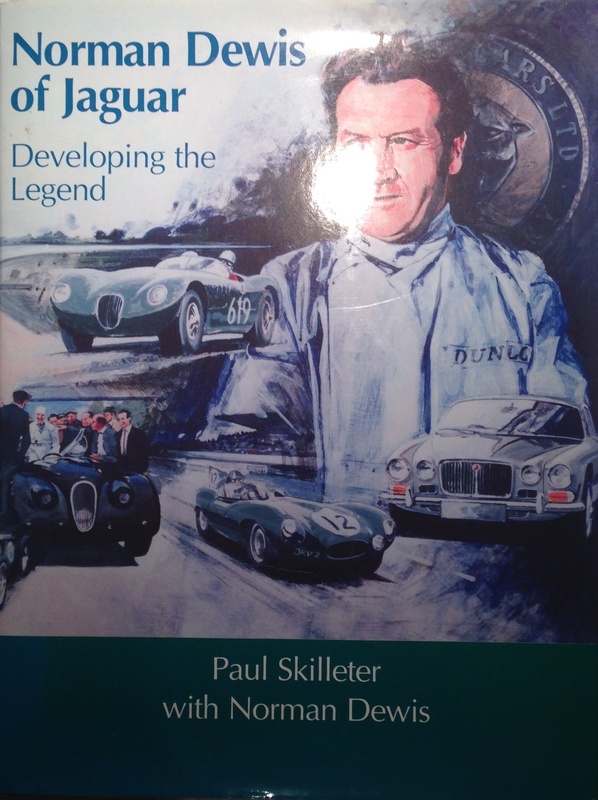 I have had the great pleasure of reading the story of Norman Dewis’s legendary work with Jaguar. 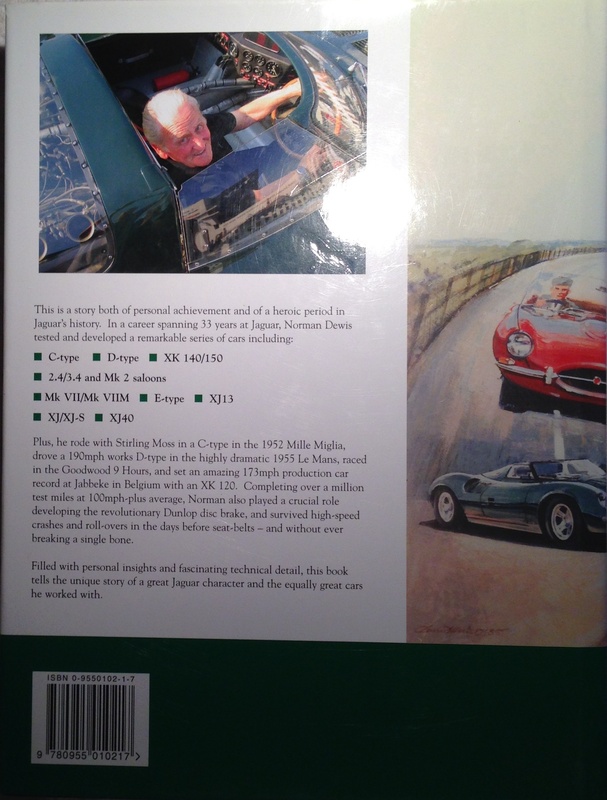 This incredible book runs over 550 pages and covers the life and times of Norman Dewis from his early days with the Humber car company up to his current status as ambassador extraordinaire for Jaguar. It is chock full of great photographs, many of which come from the private collection of Paul Skilleter that have never been published before. The book starts with Norman’s early years working for Humber and also Lea-Francis. It is fascinating to read about how Norman got his start in the British automotive industry in 1934 at the young age of 14, due to the untimely death of his father. In 1952, Norman began his long career at Jaguar, hiring on as their Chief Test Development engineer, reporting directly to Bill Heynes. Compared to modern day car companies with very large staffs, Norman joined a small team of talented individuals. In addition to chief engineer Bill Heynes the team included Claude Baily, Bob Knight and Malcolm Sayer who designed engines, suspensions, and bodies respectively. Phil Weaver ran the experimental shop and also looked after the competition department. William Lyons was of course the top man at the firm. Norman joined Jaguar at a great time in their history. Soon he was very involved in development of the XK 120, XK 140, XK 150, the MK VII, the MK IX, the C Type, and the D Type. Norman even got to drive the D Type at the Lemans 24 hour race as a works driver. As Chief Test Development engineer, Norman describes how he was intimately involved with the process that moved Jaguar cars from the drawing board to the showroom. He discusses how he was very proud of the fact that he instituted a very rigorous, scientific testing and development regime to Jaguar. From reading the book, it sounds like Norman spent about 100 hours a week driving cars and then in his spare time, completed a mountain of paperwork! His commitment to his work was total in nature. As the 60’s arrived Norman discusses his work with the MK 2 and the MK X, the legendary E-Type, and “the world’s best car” – the XJ saloon. It was Norman who made the “epic dash” in the first E-Type from Coventry to Geneva, Switzerland overnight, arriving just in time for the scheduled 10 am presentation of the E-Type by William Lyons to the world motoring press at the Geneva Auto Show. Normans satisfaction of working for Jaguar takes on a somewhat sour note as the company entered the 70’s under the ownership of British Leyland but he soldiered on into the 80’s, when he worked on development of the XJ 40. He retired in 1985. As most of us probably know, Norman has been very active in his retirement. He accepts invitations to speak and drive significant cars from around the world and serves as an ambassador to Jaguar. The book ends with just a small sampling of his continuing activities. I found this book to be greatly entertaining and instructive to read. It is no small commitment to work through its many pages but I came away with a new found appreciation of the company and the man.